The best time to buy a house is when you are ready, and not when a season tells you as much. When is the best time to buy a house? The answer is simple: no sooner than you are ready. The benefits of buying a home during the holidays may surprise a lot of people. The best time to buy a house is when you are ready. Nothing serves as a better indicator for whether or not you are ready to buy than your own circumstances. 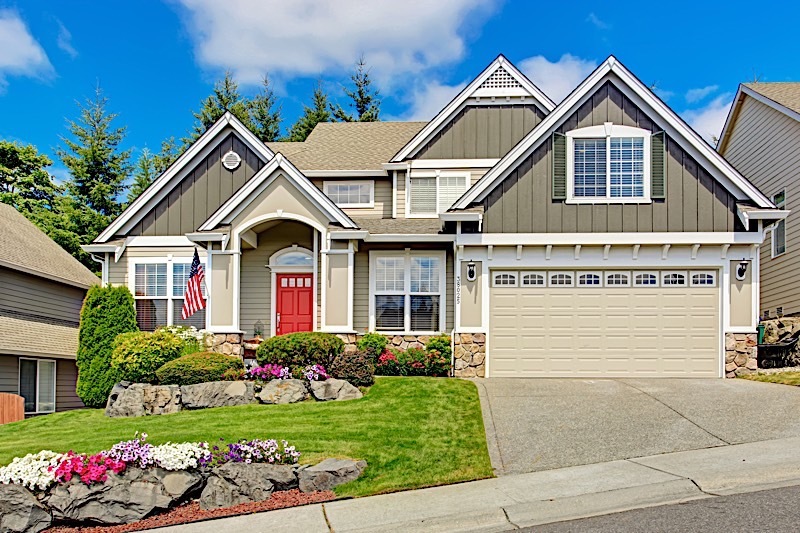 However, summer is nearly upon us, and what many are calling the best time to buy real estate is gearing up for what looks to be an active buying season. If for nothing else, the summer market has become synonymous with the most active time of the year, and 2018 doesn’t look as if it’ll be an exception. In fact, it’s safe to say the next few months will see a significant uptick in activity, particularly on behalf of the most motivated buyers. As the weather heats up, prospective buyers should show up in full force, which begs the question: Is summer the best time to buy a house? As I have already alluded to, summer is the most active time of the year for prospective homebuyers, but I digress. The activity we have grown accustomed to in the summer real estate market shares more of a correlation with the weather than fundamental market indicators. In other words, activity heats up when the weather does — not because of some economic principle ushered in by the summer solstice. It is as simple as that: the cold weather inhibiting homeowners in many regions no longer serves as an obstacle, so more homeowners are inclined to sell. It is worth noting, however, that the summer buying season isn’t reflective of the best time to buy a house, but rather the most popular — that’s an important distinction to make. The summer months are the most active because they are the most convenient for everyone, not because they offer the best deals. As I already said, the best time to buy real estate is when you are ready, and not when someone tells you as much. It is entirely possible that this summer is the best time to buy a house for you, but there’s no way of knowing without conducting a little research of your own. Instead of jumping on the summer buying bandwagon, I maintain that each and every buyer needs to mind due diligence and conduct a significant amount of research. Proceed to evaluate the market in your area, your own finances, what it is you are looking for, and anything else pertaining to your impending purchase. A prepared buyer is much more likely to land a good deal than someone who is intent on acting before they think. Do not assume that summer is a good time for you to buy because most people are, well, buying. Instead, use every resource you have at your disposal to formulate your own ideal time to buy. For starters, take a good look at the state of your finances. Provided everything is in place and you are pre-approved (not just pre-qualified) for a loan, you may be ready to act this summer, but those that haven’t gotten their finances in order will find that summer isn’t the best time to buy a house — at least not this summer. It can take months to have everything in place, and if you are just starting now, you may find that you won’t be ready till the fall, or even next year at the earliest. So before you assume summer is the best time to buy a house, make sure you have researched your own situation. Once you are certain that everything on your end is primed and ready to go, begin to research the market you intend to buy in. If you are, in fact, pre-approved, you’ll know exactly how much house you can afford, which will make looking for your next house a lot easier. You see, once you know how much money you are working with, you will know exactly where you can and can’t look. Focus your attention on those neighborhoods that fit within your price range and conduct your research accordingly. How much are homes selling for? How long are they lasting on the market? How many offers are they receiving? Only once you have the answers to these questions, and many more just like them, can I recommend moving forward. Are The Holidays Really The Right Time To Buy A House? Once again, and at the risk of sounding awfully trite, the right time to buy a house is when you are ready. Each season, for that matter, boasts its own inherent advantages and winter is no exception. While the holidays may play the contrarian role to their summer month counterparts, they aren’t without some sizable advantages. In fact, the differences that separate the holidays from the summer will work in most buyers’ favor. In my personal opinion, the holidays represent a great opportunity for homebuyers because they have the one thing summer doesn’t: less competition. Buying a new home over the holidays will coincide with significantly less competition, as fewer people are willing to face the frigid temperatures that have become synonymous with the winter months. Homebuyers that remain active over the course of the holidays are, therefore, less likely to have to compete over a subject property. Supply and demand actually works to the buyers’ benefit, as sellers will typically adjust their prices to account for the distinct lull in activity. In addition to sellers knocking a couple of dollars off their asking prices, you’ll notice an inherent motivation that wasn’t there over the course of summer. Most of the homes for sale in the fall and winter are holdovers from the summer months. And since the homes have yet to sell, the owners are likely losing patience; they are going to be much more willing to make a deal, which could easily work in your favor. To be clear, the holidays aren’t necessarily the best time to buy a house; they are just a different time to buy a house. Buying a new home over the holidays could easily work in your favor, but that’s not to say a great deal couldn’t be had over the warmer months. The best time to buy a house isn’t exactly what you’d expect. While most buyers are quick to pick a season, those that have their pulse on the real estate industry know the best time to buy real estate is different for everyone. The right time to buy a house is anything but universal, and is entirely dependent on one’s own circumstances. That said, each season has become synonymous with its own advantages; make sure you factor them into your own buying endeavors. Do you know when to buy a home? Have you found yourself trying to time the market perfectly? Fortunately, buying a new home may have more to do with knowing your own circumstances, and less to do with picking a season to take action. Please feel free to let us know your thoughts on the matter in the comments below.